homemade mawa or khoya recipe - a traditional method of preparing khoa or khoya at home. collection of 28 delicious khoya recipes – khoya also known as mawa or khoa is dried evaporated milk solids. 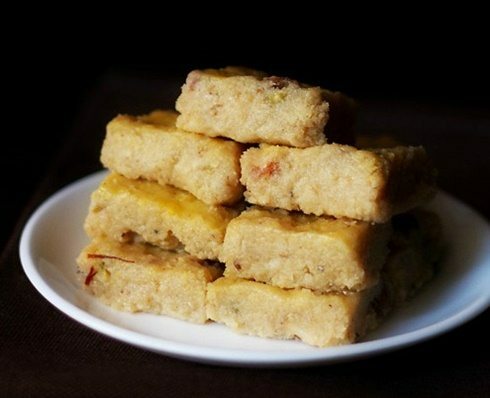 many indian sweets have khoya as one of the main ingredient. khoya is traditionally made by slowly simmering and drying milk in a large kadai. as a result most of the water gets evaporated from the milk and what remains is milk solids. this process of making khoya takes time and needs patience as constant stirring is required. 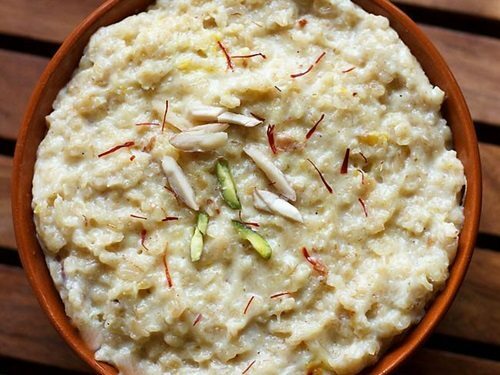 depending on the duration of cooking milk and the moisture content, there are three types of khoya that is made and are used specifically to make some sweets or curry dishes. chikna khoya or dhaap khoya– as the name suggests ‘chikna’ means smooth. so this khoya is smooth and soft khoya. chikna khoya can be easily made in homes. it has more moisture than the other two types of khoya. 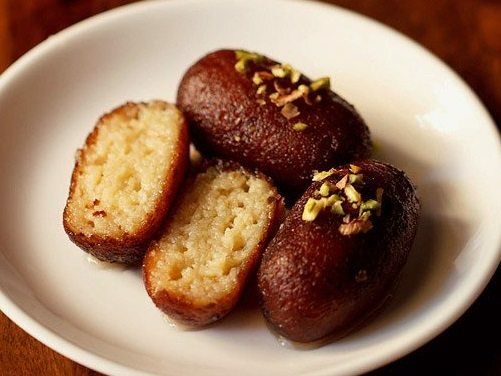 it can be used to make sweets like gujiya, kheer, halwa, rabri, carrot halwa, pantua, kala jamuns and gulab jamuns. chikna khoya is also used in making gravies or curries like kofta based curries. danedar khoya – while making danedar khoya the milk is curdled slightly by using alum or an acidic ingredient like citric acid or lemon juice. this slight curdling resulst in a grainy texture in the khoya. danedar khoya is used to make sweets like kalakand, milk cake and various pedas or barfi where a grainy texture is required. batti khoya or pindi khoya – this khoya is hard and has a smooth even appearance. it is sold in in the form of moulds or balls. since batti khoya is hard, it is grated and then used. it has the least moisture as compared to the other two type of khoya. it is used to make barfis, peda and ladoos. in india khoya is easily available in most mithai shops or halwai shops. khoya can also be made at home. making khoya in the traditional method takes a lot of time. there are some methods by which khoya can be made instantly and i have shared one such method using milk powder. the quality of an instant khoya cannot be compared with the traditionally made khoya, but works well for any recipe and especially good if you do not have a lot of time and you want to use less amount of khoya for a particular recipe. slow cooked khoya (traditional method) – this recipe gives smooth or chikna khoya. instant khoya – less then 5 minute method of making khoya with full fat milk powder. in this collection of khoya recipes, i have shared both sweets and curry recipes made from khoya. 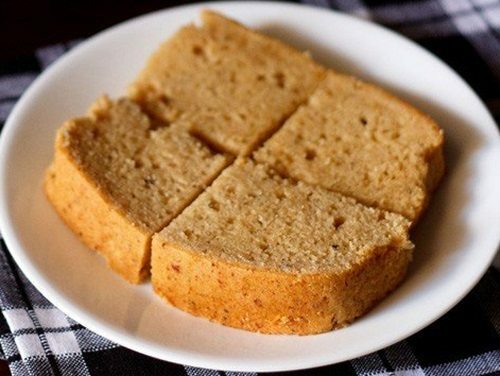 there is also one cake recipe included which is called as mawa cake. 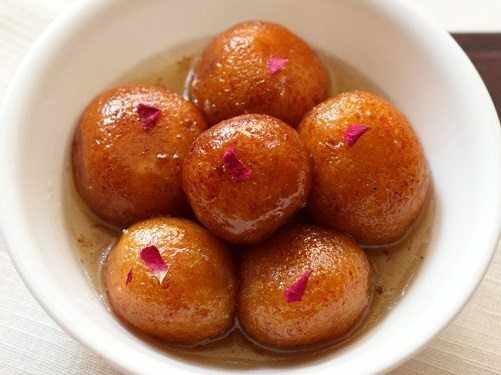 1. gulab jamun recipe – tried and tested easy recipe to make delicious gulab jamun with khoya and paneer (cottage cheese). 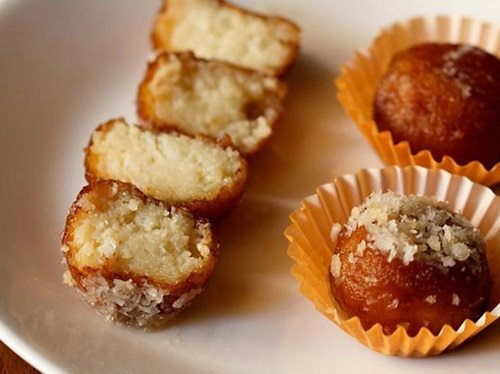 the recipe is easy for a beginner too and they can also make these soft melt in the mouth gulab jamuns. 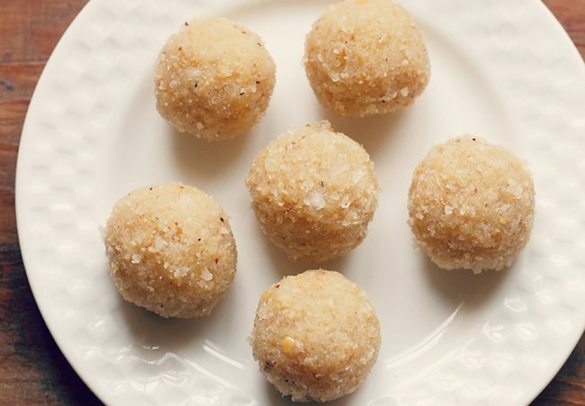 3. coconut ladoo with khoya – quick and easy melt in the mouth coconut ladoos made with khoya. 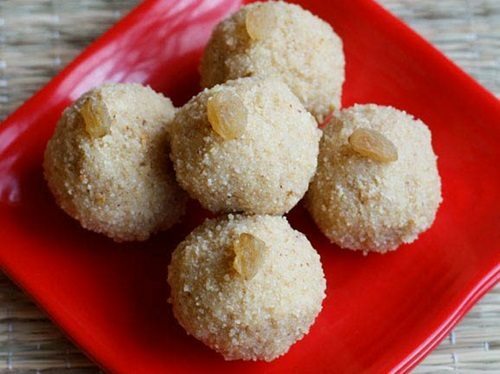 for more coconut based recipes you can check this collection of 18 coconut sweets recipes. 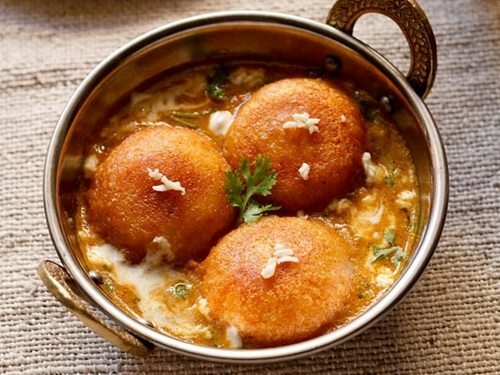 4. kala jamun recipe – easy and delicious recipe of kala jamuns made with khoya and paneer. 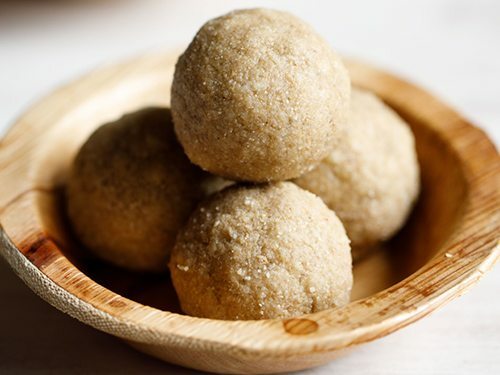 5. til khoya ladoo recipe – melt in the mouth delicious til khoya ladoo recipe made with sesame seeds and khoya. a four ingredient easy recipe. 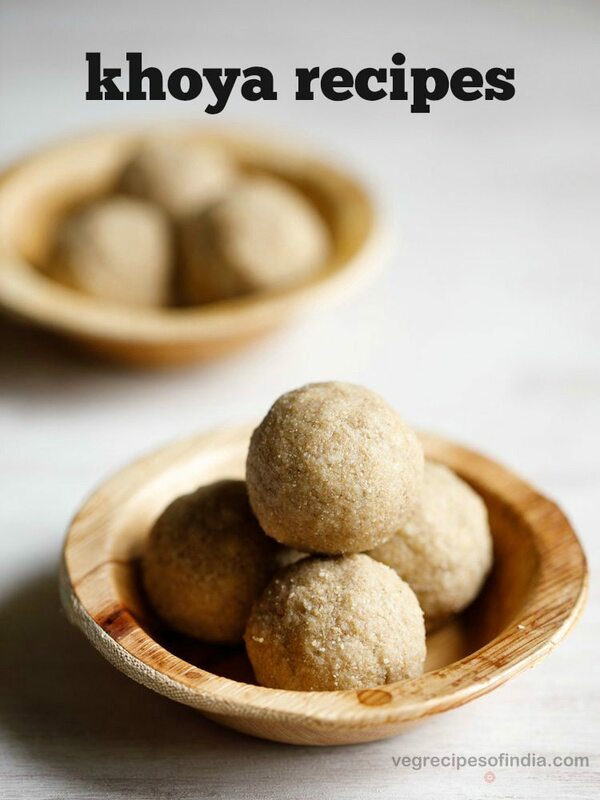 to make these til ladoos, i have used instant khoya. 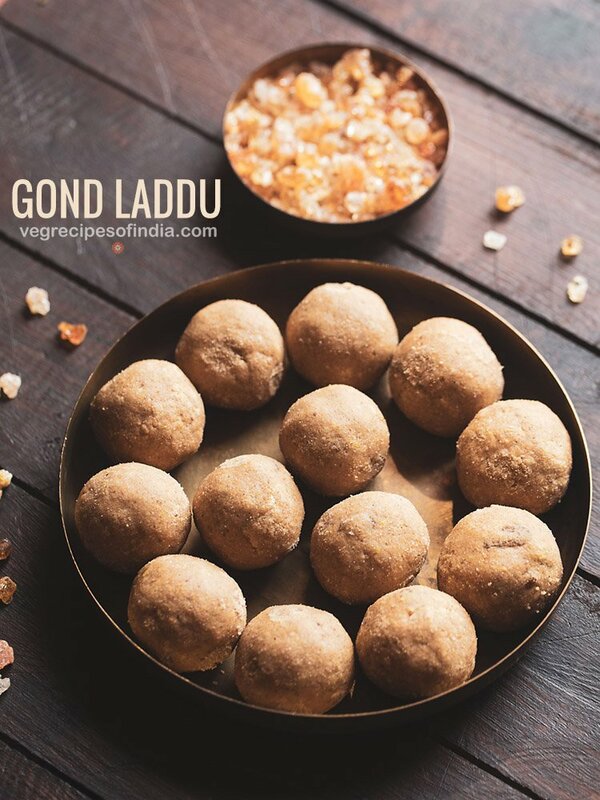 for more delicious ladoo varieties you can check this collection of 26 ladoo recipes. 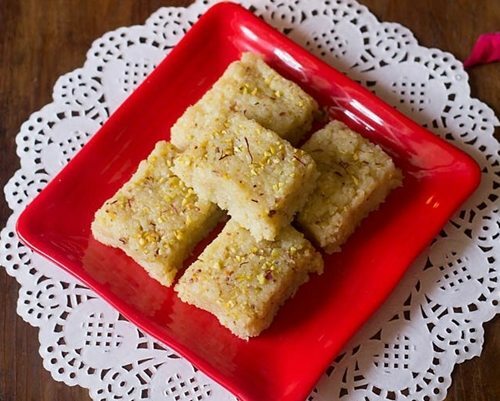 6. burfi recipe – a really easy and quick basic recipe of barfi made with khoya. this recipe just takes about 20 minutes right from the preparation to the cooking. 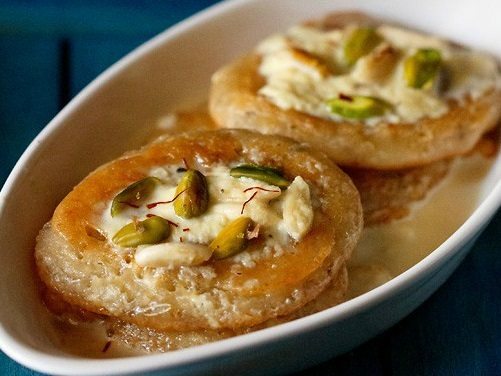 for more delicious barfi recipes you can check this collection of 12 barfi recipes. 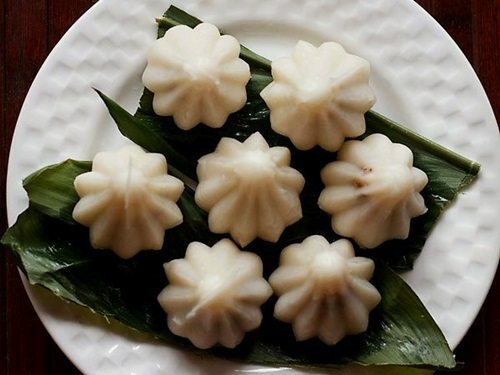 7. doodh peda recipe – easy, quick and delicious milk pedas made with khoya. 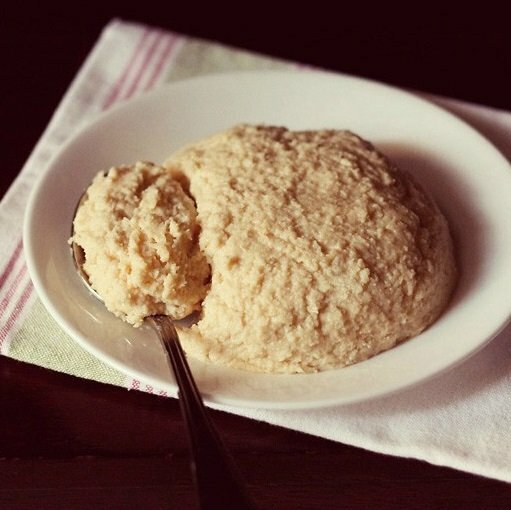 in this recipe i have used instant khoya. 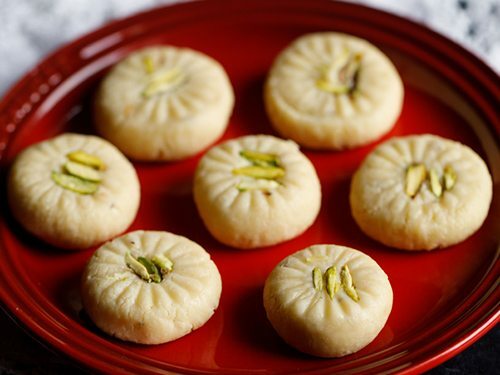 peda is one of the popular indian sweets. 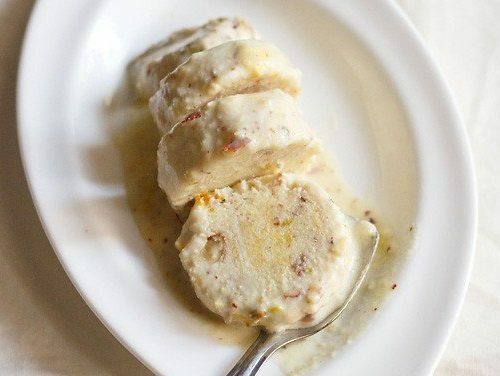 8. malpua recipe – a traditional north indian sweet of soft, fluffy and yet crisp pancakes coated with sugar syrup and served with rabri or thickened sweetened milk. 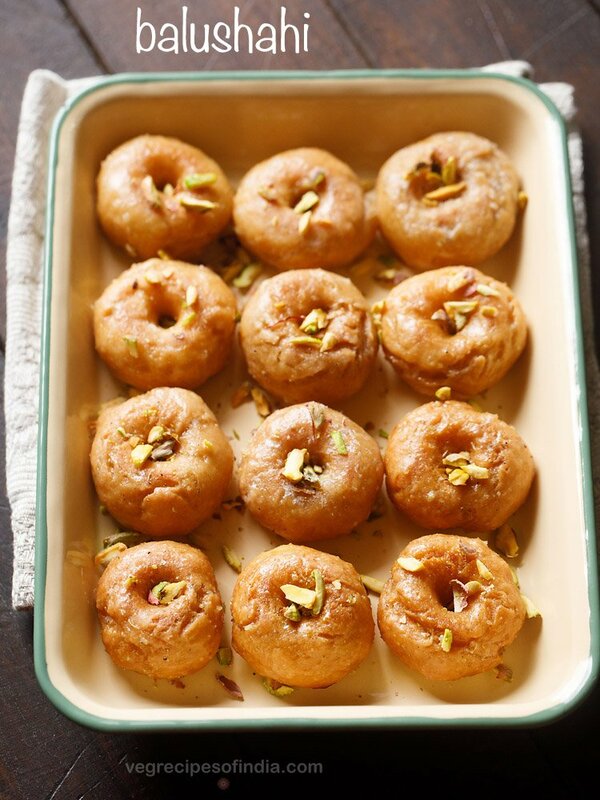 9. dry gulab jamun recipe – these dry gulab jamuns are made with khoya and paneer (cottage cheese). dry is the english word for ‘sukha’ in hindi. as the name suggests these jamuns do not have sugar syrup served with them. hence these gulab jamuns are known as sukha jamuns. 10. nariyal barfi recipe – a delicious, soft barfi made from fresh grated coconut, khoya milk, ghee, cardamom powder and sugar. 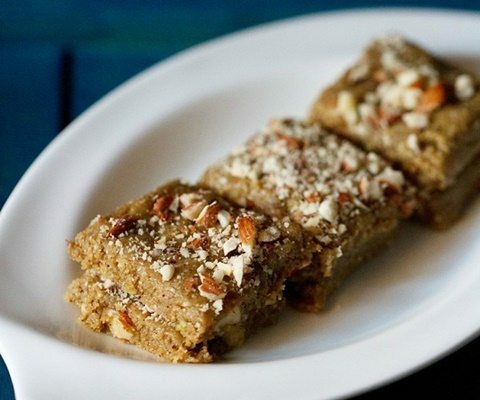 a quick barfi recipe made in less than 30 minutes. 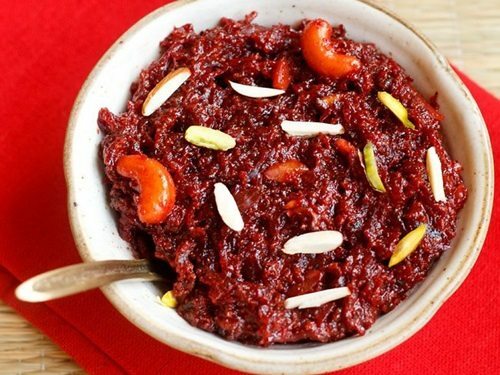 12. quick beetroot halwa with khoya – a quick version of beetroot halwa made with khoya. i have already shared beetroot halwa recipe slow cooked in milk. the slow cooking and simmering in milk takes a lot of time but this recipe is a quick as well as an easy version. for more delicious halwa recipes you can check this collection of 31 halwa recipes. no cook mango kulfi recipe. 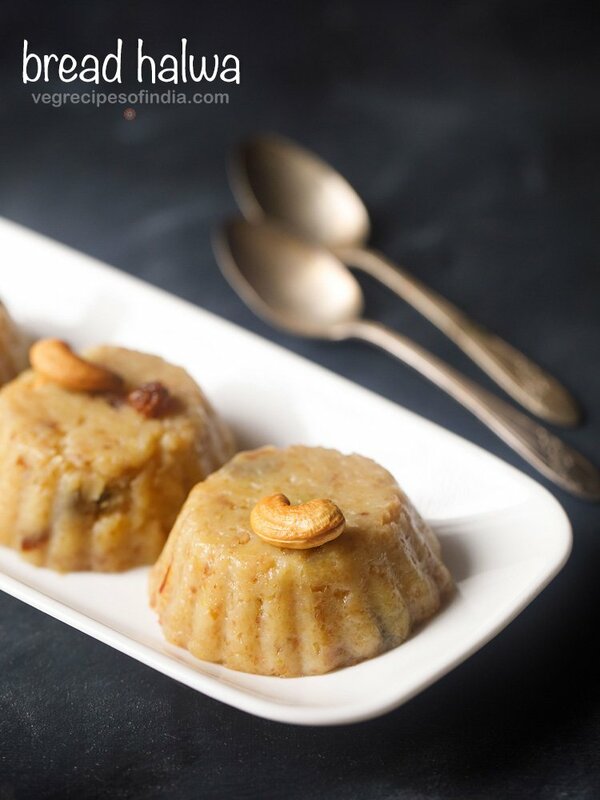 14. mawa cake recipe – cardamom spiced eggless buttery cake with a caramelized milky flavor. made with mawa, whole wheat flour (atta) and butter. for more eggless cakes you can check this collection of top 10 eggless cakes recipes. 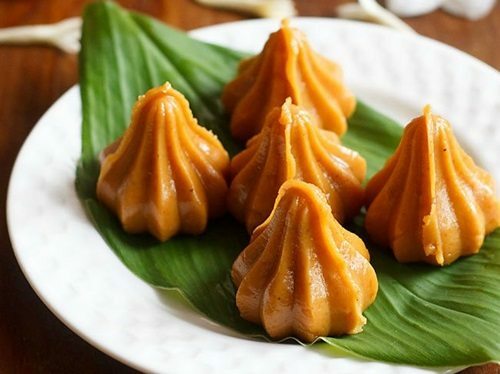 15. mango modak recipe – these delicious modaks are made with fresh mango pulp, khoya, sugar and flavored with cardamom powder. 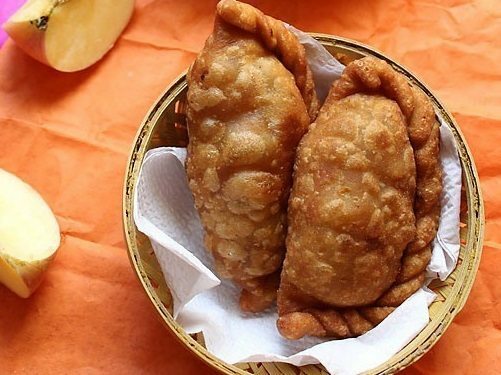 these melt in the mouth modaks can be made with fresh mango pulp or with canned mango pulp. 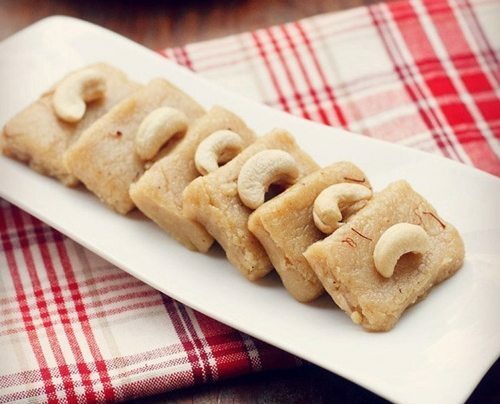 16. easy kaju barfi with khoya – delicious kaju barfi prepared from cashews, khoya, ghee, sugar and cardamom powder. 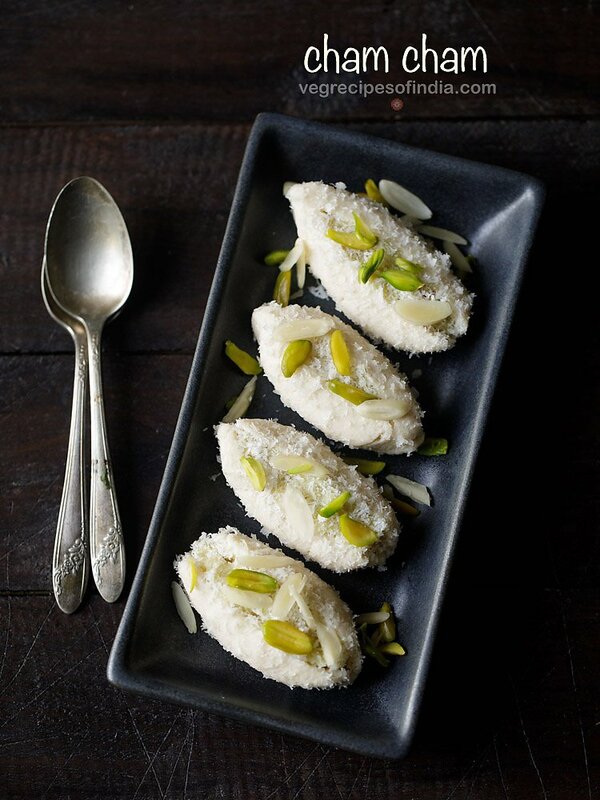 the kaju barfi tastes almost like kaju katli, but due to mawa it tastes more rich and soft in texture. 17. dry fruits mawa karanji – mawa karanjis are deep fried pastry made from whole wheat flour, stuffed with mawa, dry fruits, poppy seeds and desiccated coconut. 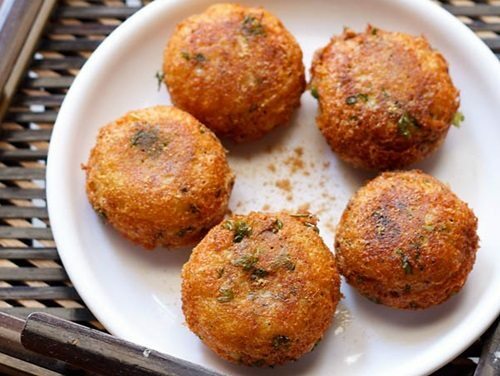 you can also check this karanji recipe which is made during diwali festival. 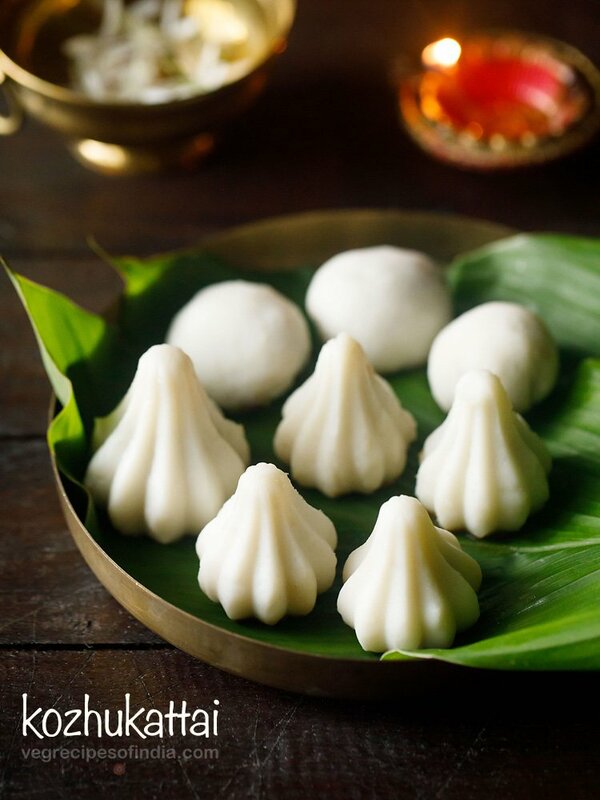 18. mawa modak – these tasty modaks are made with minimal ingredients which is mawa, sugar and cardamom powder. 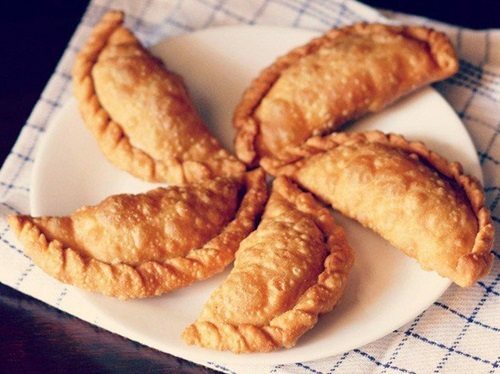 you can make these modaks in less than 30 minutes. 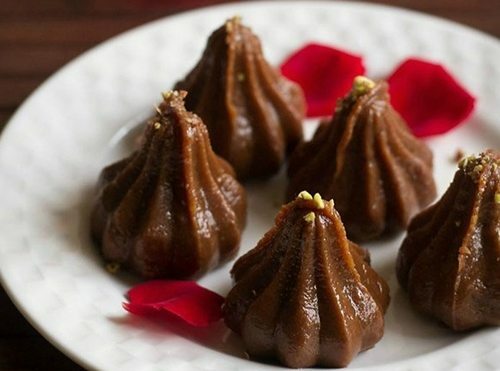 19. chocolate modak – these modaks are made mainly from three ingredients chocolate, mawa and sugar. recipe takes less than 30 minutes to make and is simple to make during ganesh chaturthi or any festive season. 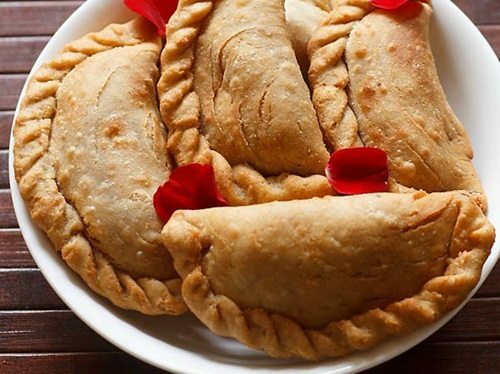 22. apple gujiya recipe – a deep fried pastry with a sweet filling of mawa and dry fruits. it is a melt in the mouth sweet dish. 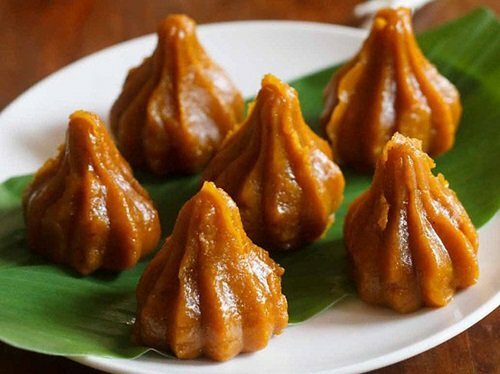 23. dry fruits modak – this dry fruit modak recipe has a mixture of dry fruits, mawa, poppy seeds & coconut as the stuffing. 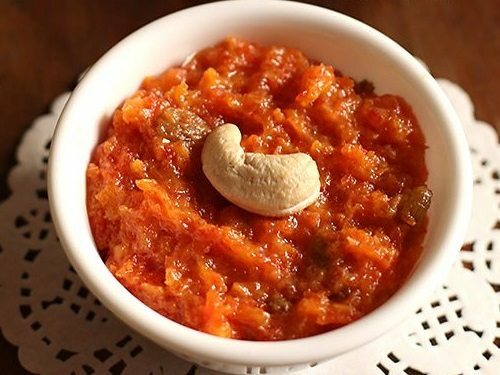 24. oats halwa – this is a quick and delicious oats halwa recipe made from quick cooking oats, mama (khoya or evaporated solids), milk, sugar and ghee. to make the halwa fragrant, i have also added cardamom and nutmeg powder. for more tasty oats recipes you can check this collection of 12 recipes made with oats. 3. kaju khoya recipe – rich punjabi curry made with peas, fox nuts (makhana) and khoya. 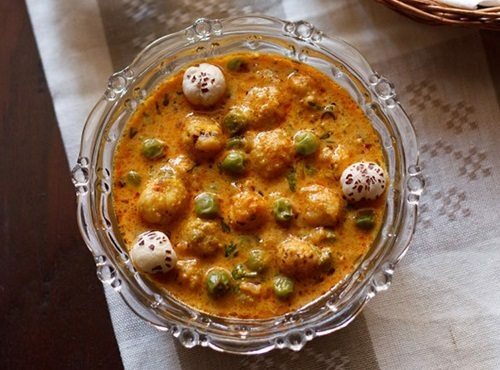 if you do not have makhana, then simply make the curry with peas and khoya. instead of makhana you can also add paneer. 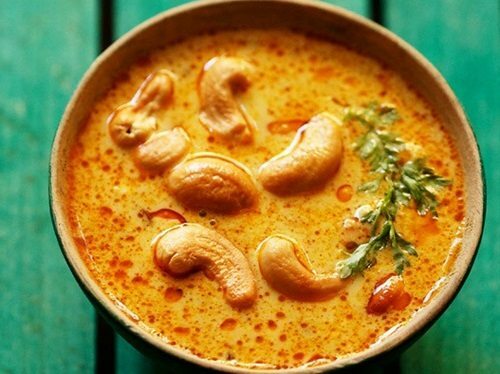 4. khoya matar makhana recipe – delicately flavored rich curry made with cashews & khoya. 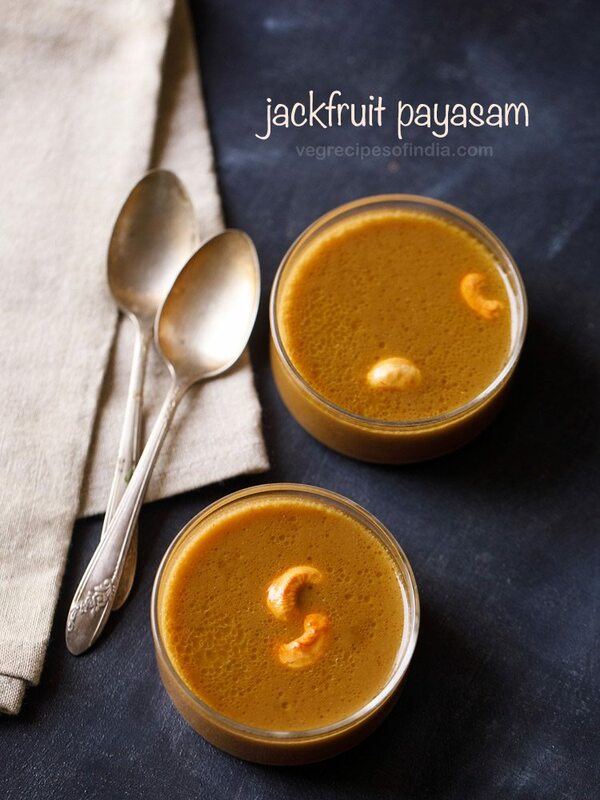 since this is a rich curry, its good to make on special occasions, festivals or celebrations. pour the milk in a large thick bottomed pan and place the pan on the stove top. bring milk to gentle boil first on a low to medium flame. then lower the flame and simmer the milk. stir at intervals whilst the milk is simmering. the milk will froth many times, while its being simmered. so when you see this happening, with a spatula stir the milk. scrape the milk solids from the sides and add to the milk. the milk will continue to reduce and thicken as its being simmered on a low flame. a stage will reach when the reduced milk will resemble rabri (an indian sweet). continue to simmer and stir. towards the end when the milk has reduced much, you will see bubbles bursting in the reduced milk. at this point continuously stir. if you don't then the reduced milk will get browned or burnt. the bubbles are due to moisture in the milk. when you see no bubbles in the reduced milk, its time to switch off the flame. it took me 2 hours and 8 minutes overall on a low flame. with a spatula, scrape the milk solids from the sides and add these to the bowl. cover the bowl and let the khoya cool at room temperature. then you can refrigerate it. add this homemade khoya or mawa as required while making various indian sweets or indian curries. agar khatti smell aa rahi hain, iska matlab hain ki khoya kharab ho gaya hain. kuch bhi mat banao. sehat ko hani pahuncha sakta hain. Ich liebe Ihre Rezepte, sind sind einfach GROßARTIG, super ist auch das sie immer so viele Vegane Rezepte haben und das sie auch Gram Angaben haben bzw auch die Tassen Größe angeben, so toll! Please give link to download App for this website. From Apk its corrupted, not working at all. Neelam, we could not manage the app well. So we have deleted it. Very good collection of Indian veg recipes, very handy and helpful too. Looking forward for such wonderful recipes in future. Thanks Sridevi. We will keep on adding more recipes.